TDC Group is the leading Danish provider of communication solutions within landline and mobile telephony, internet and television. TDC has 8.9 million customer relations and employs around 9,000 people in Denmark. Denmark’s leading company in technology and communications, TDC, has given the following five CSR-related focus areas particular high priority: Digital Denmark; Customer trust and safety; Climate and environment; Employee well-being and diversity; and Social partnerships. In the telecommunications sector, some of the most critical environmental impacts include; the extraction of the raw materials used in phones and network equipment; manufacturing of the components; running of networks; and recycling and re-use of materials and equipment. As a leading telecommunications operator TDC has come a long way on its sustainability journey in dealing with these issues, and has taken action in reducing its energy consumption and waste management both in terms of own activities and those of its customers when using TDC products. As a result, TDC was awarded the CO2 Reduction Prize at the CSR Awards 2013, and has now set the goal of reducing its CO2 emissions by 40% before 2020. At the end of 2014, TDC had achieved a reduction by 35% of its emissions. Read more about how TDC is working to minimize its environmental impact here. TDC has engaged in different social partnerships with a number of organizations, where it contributes with its competencies and resources in order to address major social challenges. For instance, TDC collaborates on various matters with Red Cross (Røde Kors). Here, TDC is lending storage capacity for storage and maintenance of the Red Cross communications equipment, which at short notice can be sent out to disaster areas around the world such as Haiti and lately to Nepal. 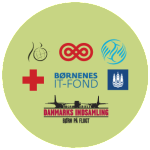 TDC also provides telephone solutions to the annual event ‘Denmark’s Collection’ (Danmarks Indsamling), which supports humanitarian causes and development projects. Read more about TDC’s different focus areas in its CSR report 2014. Environmental Manager Henning Andersen from the TDC Group became a Premium member of The Social Business Club to meet likeminded and to get new inspiration, new knowledge and a broader network within the field of CSR. See his testimonial in the column to the left.